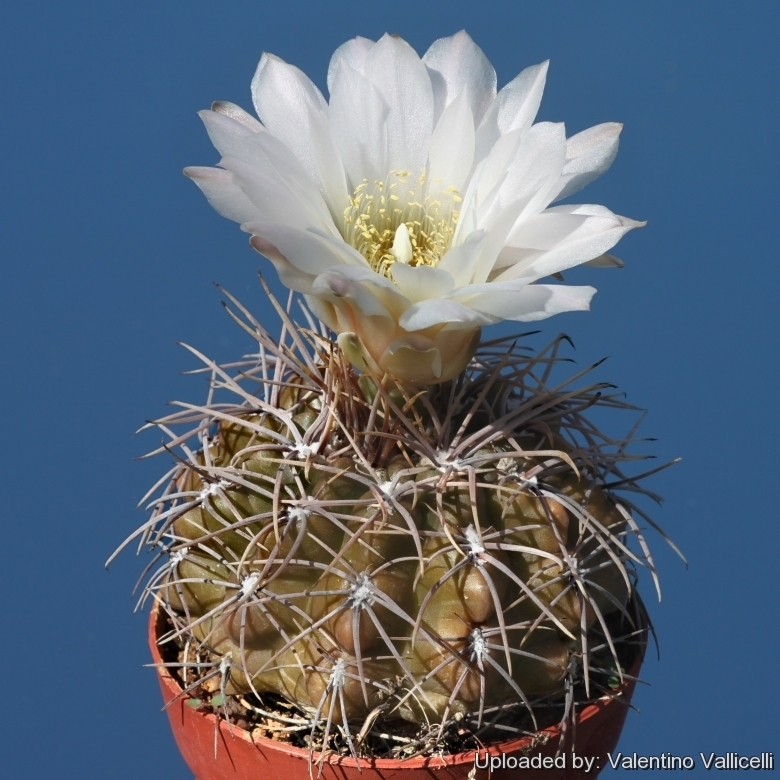 Origin and Habitat: Gymnocactus gibbosum is widely distributed in the mountains of Argentina from the south of the Buenos Aires province to Patagonia and show a great variability in morphological traits. 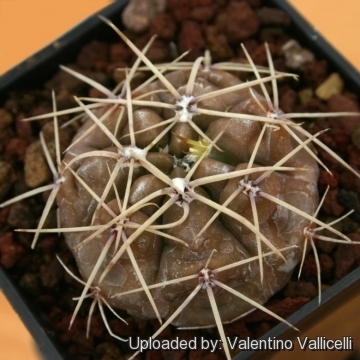 The form "longispinum" is only known in cultivation. 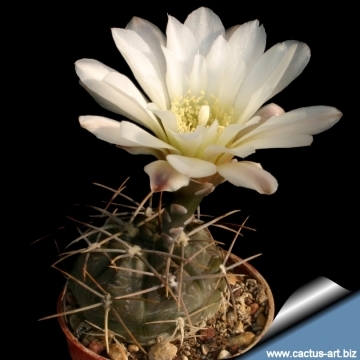 Description: Gymnoclaycium gibbosum f. longispinum is a spiny flattened solitary cactus. The form “longispinum” has longer and stiffer spines but is practically identical to the normal form in stem and flowers characteristics. Stem: Deep glaucous-green to grey-black, discoidal that became elonged with time 10-25 cm tall, up to 12 cm in diameter, the apex is slightly woolly. 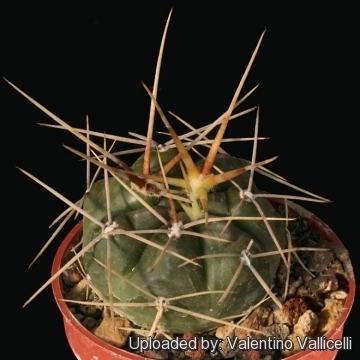 Radial spines: 5-7 25-35 (45) mm long slightly bent against the plants body, clear brown with a darker base when young, that became whitish-grey with a black base as they age. 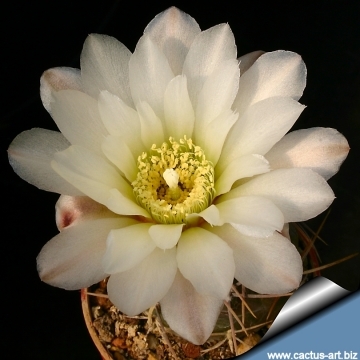 Cultivation and Propagation: Gymnocalycium gibbosum f. longispinum is a summer grower species that is easy to cultivate.